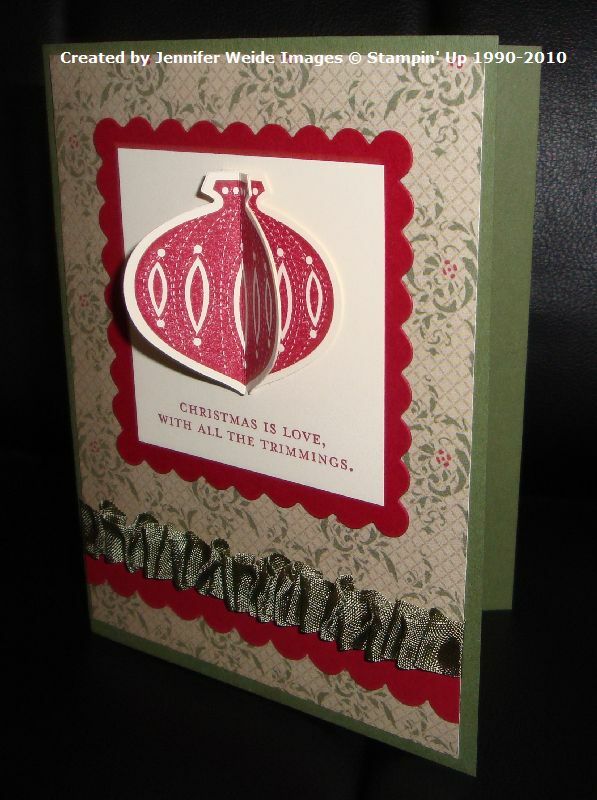 The last card from Club last weekend was this one, using the same layout as my swap card previously posted. I changed the DSP for this one and love how it came out! 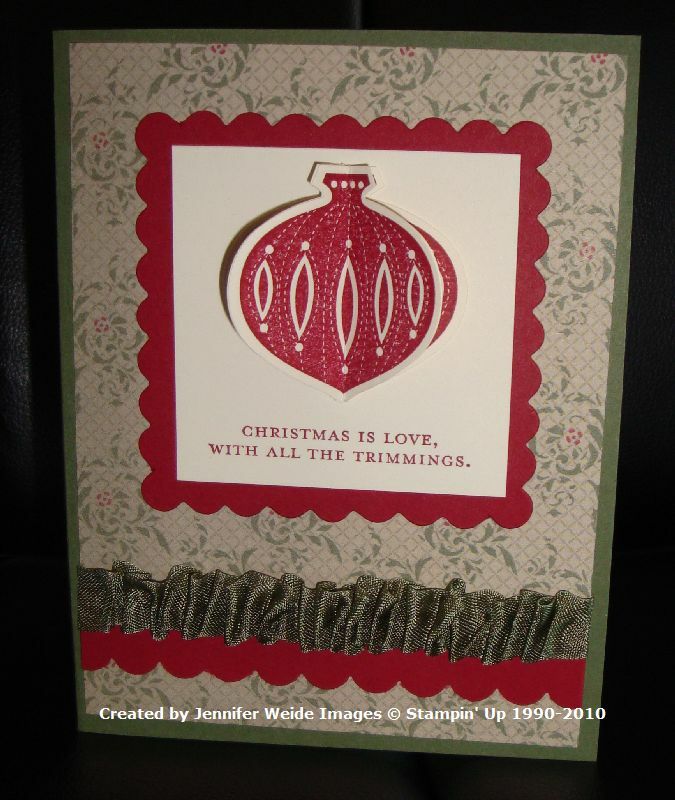 This card uses one of the prints from the Deck the Halls DSP pack. Crumb Cake with Always Artichoke & Cherry Cobbler. Card base is Always Artichoke. 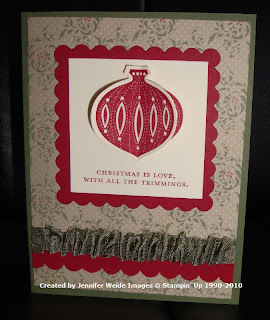 Scallop Square cut with the Scallop Square Duo Die. Inset square of Very Vanilla. 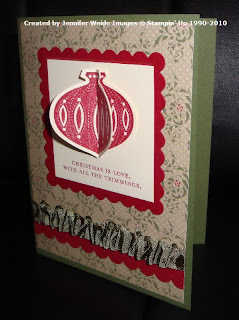 Scallop border punched on Cherry Cobbler Cardstock and attached near the bottom. Always Artichoke Seam Binding Ribbon across it, attached to Sticky Strip. A view more from the side so you can see the dimension the ornament has. Remember that is 3 punched ornaments together to give that effect. Click over to THIS POST for a detailed explanation on the ornament and how I attached the Seam Binding ribbon to get a uniform look. Let me know if you have any questions! I also wanted to mention that I will be using this set, Contempo Christmas, for the upcoming Royal Blog Tour November 5-8. Mark your calenders and plan to spend some serious time with your computer going through all 70+ blogs!! I will have Blog Candy to win during the tour, as will many other stops along the way. Also the Jester will be popping up at some point, so stay tuned! Fun fun! !